Andy Wilkinson joins Amarillo Symphony Orchestra this weekend for The Old West. Andy Wilkinson is a High Plains artist, poet, songwriter, activist, educator, and storyteller—and this weekend he’s performing with the Amarillo Symphony during their 94th season. We hosted him live on High Plains Morning to hear more about the event, as well as his work at Texas Tech. On Friday and Saturday night, the symphony presents The Old West, a pops concert featuring selections from movie scores from Western films, such as The Magnificent Seven, Dances with Wolves, Rawhide, Silverado, Tombstone, plus Samuel Jones “Palo Duro Canyon” Symphony and more. The show starts at 7:30pm, and there are a few tickets left…so act fast! More about Andy Wilkinson: Andy realized at the tender age of six that he wanted to be a poet. He also realized that the way to become a good poet was to live a life of variety, so he set about building an eclectic resume that includes time spent as a police officer, financial planner, commodities broker, and a formative stint as a bag-boy and cashier at Piggly-Wiggly. His work spans multiple genres and projects. 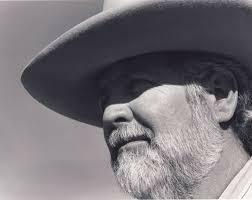 Andy wrote songs and poetry all along, releasing albums and gaining a reputation a well-researched and well-liked personality on the national cowboy poetry stage. He currently serves as the Artist-in-Residence at Texas Tech University's Southwest Collection and continues writing and making music as a way of life. He just finished his novel, so stay tuned for more information about that!